Asian-Mexican fusion food at it’s best! 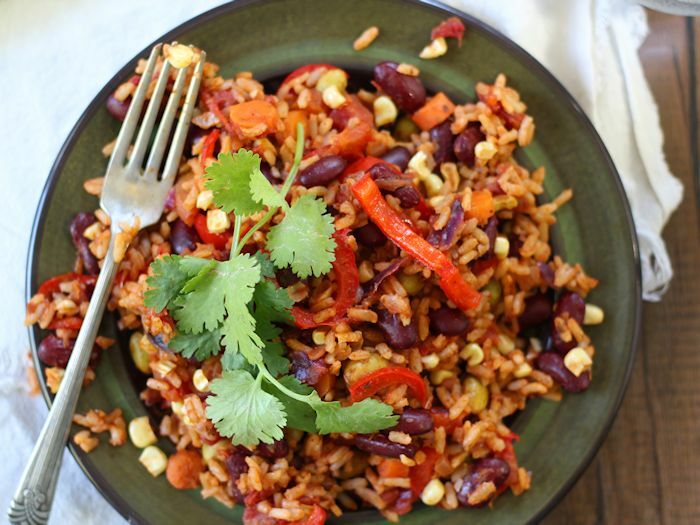 This Mexican kidney bean fried rice from The Easy Vegan Cookbook is easy, delicious and packed with veggie goodness. If you read my blog regularly, I think it’s pretty safe for me to assume you generally look for the same things in recipes as I do. 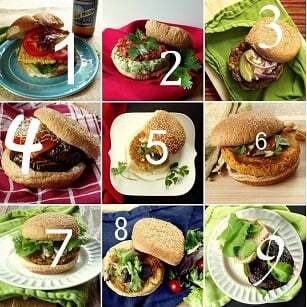 Namely, we want food that’s tasty and easy. There’s lots to love about this particular dish. First off, it’s packed, and I mean packed, with veggies. Along with tomatoes, bell peppers, corn and cabbage, Kathy gives you the option of including shredded vegan chicken or mixed veggies in place of what might nomally be meat. I went with mixed veggies, and in particular shelled edamame and carrots, just becasue I had them on hand, but you could literally use just about any type of veggies here. In that respect, it has the potential to be an awesome clean-out-the fridge dinner. The recipe also includes gluten-free and oil free options, as well as a suggestion for a Cajun inspired variation, which I was totally tempted to try, and probably will next time. Nearly all of the recipes are similarly customizable, so no worries if you’re gluten-free, oil free, soy free or just a super picky eater. Asian-Mexican fusion food at it's best! 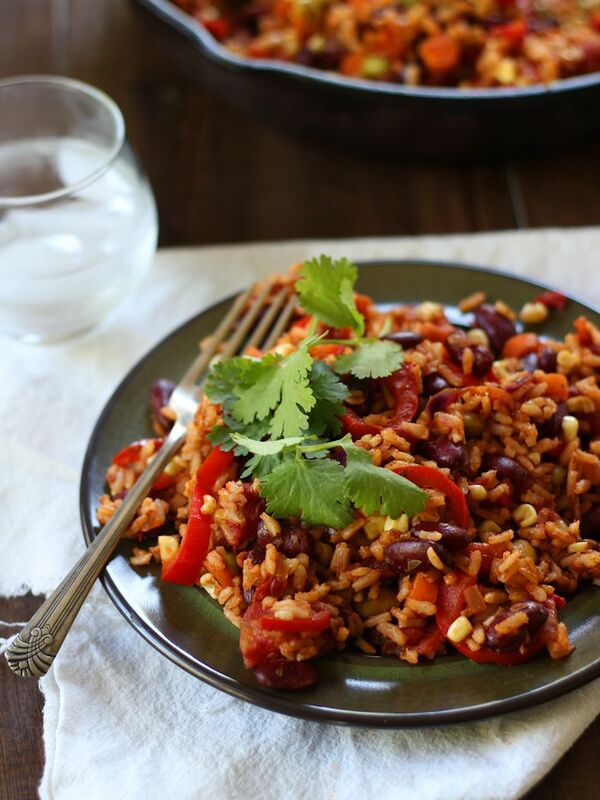 This Mexican kidney bean fried rice from The Easy Vegan Cookbook is easy, delicious and packed with veggie goodness. Heat the oil over medium-high heat. Once it's hot, add the onions and sauté until translucent, about 5 minutes. Add the bell peppers and cabbage and sauté 3 more minutes. Turn down the heat to medium. Add the mixed veggies or meatless chicken, tomatoes (diced and crushed), kidney beans, corn, green chilies, oregano, cumin, chili powder and liquid smoke. 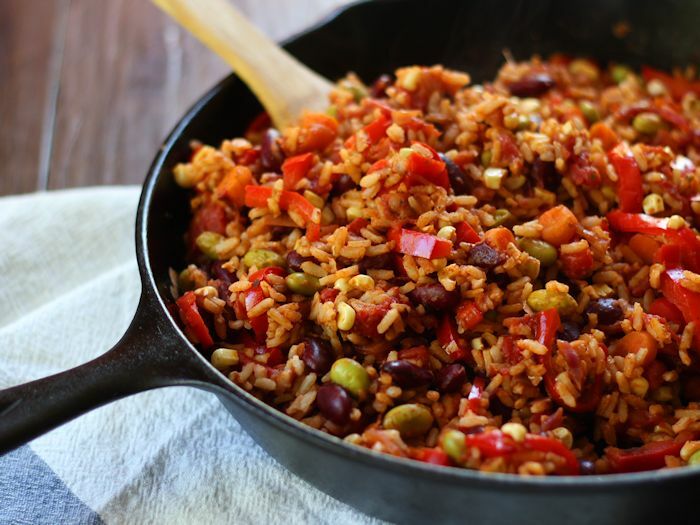 Cook until the veggies are tender and the flavors have melded, about 10 to 15 minutes, stirring every 5 minutes or so. Turn the heat back up to medium-high and break up the cold cooked rice into the mixture. Keep stirring and cook until the rice is thoroughly heated, about 10 minutes. Before serving, add salt to taste. Alissa's note: I had some fresh cilantro on hand, so I added a few sprigs when serving. This is easy to make? It looks so good that I thought it must be so complicated….. But it’s easy??? YIIIIPPPPPEEEEEEEEEEEEEE!!!!!!! Cold cooked rice? Why would you commit this atrocity? Surely it would be easier/less bacterial to cook the rice and stir it in once it has boiled, fresh? I’m sure you could do that, but precooked rice generally works better in this type of recipe. It dries out a bit in the fridge, so you end up with something having a nicer texture.